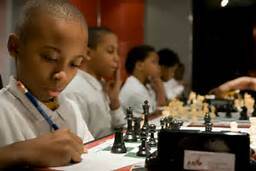 Chess Club is an athletic enrichment initiative that is hosted by our I.A.E.C. (International Athletic Enrichment Camps) throughout the year. We strive to host the biggest and best athletic enrichment camps throughout Central Texas!! Our staff is dedicated to training players to succeed both on and off the board- helping players to develop the necessary skills they need to excel in life. We offer skills development, small group instruction and competitive gaming for both youth and adults. We also host leagues, tournaments and more!! 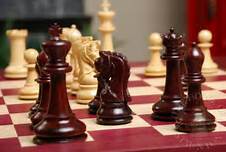 It’s a great place where individuals can learn, play and improve their chess game!! From the basic rules and information regarding chess- all the way to practice drills, video lessons, private coaching, team tournaments and much more!! Our camps are structured to be fun-filled and encourage athletes to promote a TEAM spirit!! Chess Club includes a discounted InnSeg Kids or Outreach membership, mentorship, sponsored T-shirt, snacks, prizes and giveaways, guest appearances and a Certificate of Completion for select occasions. Innovative Segue believes in teaching valuable life lessons that assist in accomplishing life goals. Tournaments – Grab a couple friends and sign up for the next Tournament in your area to find out if your group is the top of the crop.